You are invited to the Concrete Alberta Texas Scramble Golf Tournament on June 29th, 2017 at the Alberta Springs Golf Resort in Red Deer, Alberta. "Located five minutes west of Red Deer, Alberta Springs is a must play in central Alberta. This immaculately groomed treasure features a selection of four tee boxes to accommodate all levels of play." "Come and experience the exceptional service and golf course conditions at Alberta Springs." The tournament will be played in a scramble format with 4-person teams. Applies to registrations received up to and including June 23, 2017. 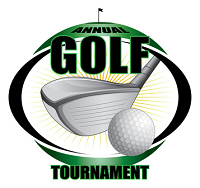 *The entry fee includes green fees, power carts, prizes, a steak BBQ, gratuities and GST. Please note that breakfast is not included in the fee.